Turkish Cauliflower & Yoghurt Soup recipe here. I‘ll let you in on a little secret… For most of my 20s I was a recipe follower. Unless I was making a sandwich, I pretty much consulted a recipe before I cooked anything. Now following recipes isn’t all bad. It taught me to cook way more than anything I learned while studying for my food science degree. But over time, I began to cook on my own. To cook from the heart. The biggest driver was time. Working as a winemaker I didn’t have an hour to spend each week choosing recipes and writing a shopping list. Or much time for shopping. Plus I was shopping at the local farmers market which meant the availability of ingredients was always changing. So I found myself creating what I now called ‘template recipes’ based on successes I’d had in the past. I then used these ‘templates’ to branch out and cook on my own. Cooking without recipes is much more fun and (mostly) just as delicious. It also means less waste because you used what you have. Plus it’s completely flexible. So if you have to stay back late at the winery one night and end up ordering pizza, it doesn’t matter. There’s no waste and no guilt. I firmly believe YOU CAN learn to cook without recipes. You just need to take it slowly and follow these simple steps. 2 Steps to Cook Without Recipes. If you already make little changes to recipes as you cook, go to the top of the class! You’ve already mastered step 1 and can move on to step 2. If you’re a follow-the-recipe-to-a-‘T’ type of person, don’t worry. I’ve got you covered too. At the end of all my recipes I include a list of ‘variations’. These ideas are the perfect starting place for you to begin ‘tweaking’. Before you think, ‘I can’t do that‘, remember there’s no ‘right’ or ‘wrong’ when it comes to cooking. The only way to learn is to get into the kitchen and try things. STEP 2. Use ‘template recipes’. I did this unconsciously myself, but I wish I’d had someone to show me. I would have saved myself loads of time and mistakes. Template recipes are the ‘secret’ to learning to cook on your own. It’s all about thinking in general ingredient types rather than specific ingredients. Armed with a collection of ‘templates’ you’ll be able to open the fridge and see possibilities. You don’t have to figure it out all on your own. If you join me for ‘Master Your Meal Plan’ I’ll be sharing 71 of my best template recipes and showing you exactly how to put them to use. Before you know it you’ll be one of those people who can just ‘whip something up’. Still not sure if you can do it? Well I know you can! I’ve helped hundreds of people learn to cook without recipes. Anna, Master Your Meal Plan Owner. Larry, Master Your Meal Plan Owner. 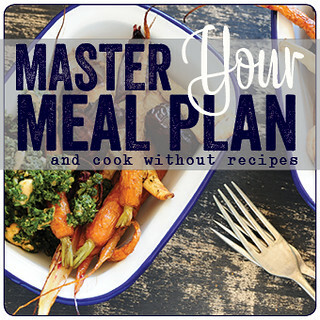 Joules, Master Your Meal Plan Owner. Nichole, Master Your Meal Plan Owner. Cherie, Master Your Meal Plan Owner. 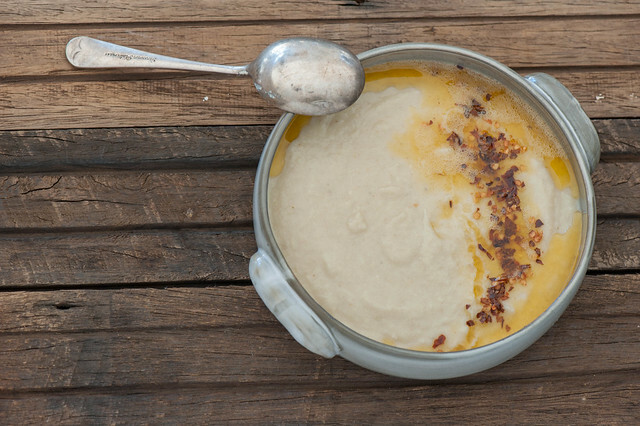 Another huge benefit of cooking without recipes is that you don’t have to worry whether you’ll like something or if it will suit your dietary requirements because you’re in control. You never have to use ingredients you don’t like or can’t eat. I get where you’re coming from. However, imagine what life would be like if you didn’t have to plan? What if you could just buy ingredients (or have them delivered) and then decide what to cook. How much time would you save if you didn’t have to plan and write shopping lists? How much time would you save if you didn’t need extra trips to the store? Then multiply that by the weeks and months. It adds up. Don’t you think it’s worth investing a few hours now to save yourself all that time for every week of rest of your life? And from a financial perspective, think about how much money you currently spend on restaurants and takeout because of meal planning ‘fails’. And what about the cost of throwing out wasted ingredients? Like Help Cooking Without Recipes and Meal Plans? Then join me for Master Your Meal Plan. It’s an online training program that helps food lovers get delicious, healthy dinners on the table by ‘reversing’ the meal planning process and learning to cook without recipes. ps. There’s less than 24-hours left before doors close for Master Your Meal Plan.